Kenneth Craig Daly, of Millsboro, Delaware, passed from this life on Tuesday, October 30, 2018 at his home. Born on November 11, 1942, in Baltimore, MD, he was the son of the late Henry Kenneth Daly and Elizabeth Ann (Prentiss) Daly. He was predeceased by his loving wife, Tomasa V. Daly. Craig was in the Military Police Battalion in Japan during Vietnam and was proud to have served his country. He loved the beach in Ocean City, MD and had many wonderful memories as a life guard in the early 60's. He also was an avid golfer and enjoyed his time on the golf course. 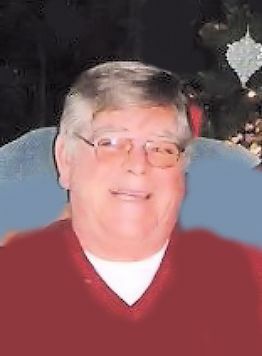 He is survived by his sons, Kenneth Craig Daly, Jr., Keith Christopher Daly and Kevin Charles Daly; grandchildren, Sarah Elizabeth, Alexander James and Emily Paige Daly; sisters, Terry Daly Warfield and Barbara Floyd. He is also survived by many nieces, nephews and cousins. The family will receive friends from 1:00 pm to 4:00 pm on Sunday, November 4, 2018 at Stauffer Funeral Homes, 8 East Ridgeville in Mt. Airy, MD. A graveside service will take place at Grotto of St. Mary's Cemetery in Emmitsburg, MD, on Monday, November 5, 2018 at 1:00 p.m.